Deadlines slipping your mind? 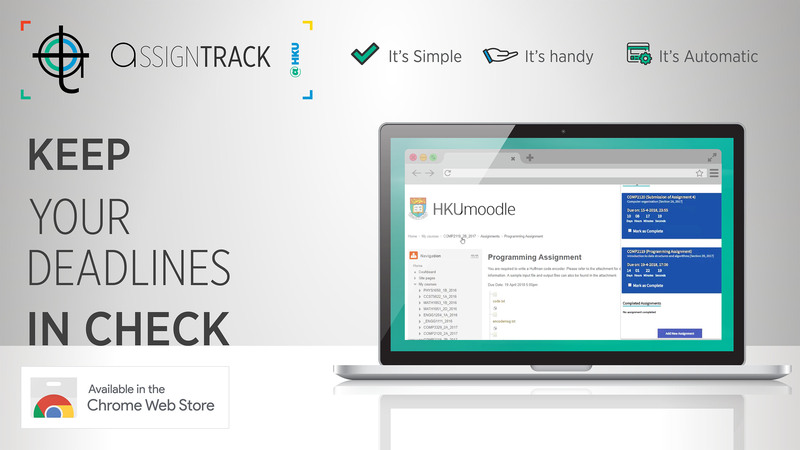 Use AssignTrack@HKU to help yourself track deadlines and manage your time! Throughout the semester, you will receive homework on and offline. However, Moodle doesn’t come with a function for you to record all your deadlines across different courses. Wouldn’t it be a lot more convenient if you had a personal secretary to keep track of them? 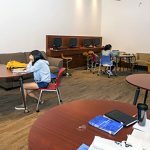 AssignTrack@HKU, a Chrome extension designed by HKU students, is a simple solution to that. 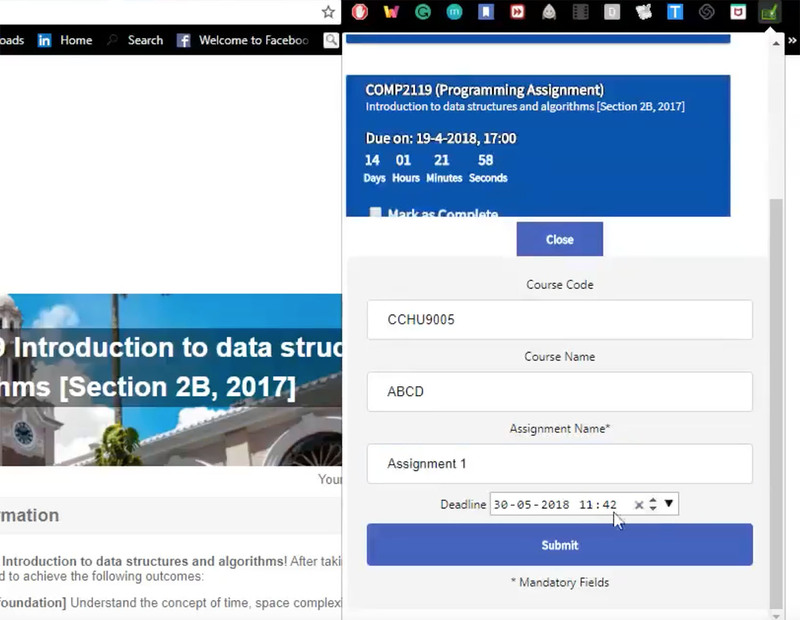 Whenever you log in to Moodle and browse a course’s assignment page, AssignTrack@HKU automatically adds that assignment’s deadline to its list. It even comes with a helpful countdown that tells you how many days you still have to work on it, and items blink to remind you when their deadlines are near. When you submit your assignment, the list automatically updates to move that item from the “Due list” to the “Completed list”. You can also manually input non-Moodle assignment deadlines into AssignTrack@HKU to conveniently organize all your deadlines at a place. Or other things that you procrastinate on! Watch this video for a step-by-step guide on how to use it! Technology-Enriched Learning Initiative © 2019 All Rights Reserved.